Anyone who dares to delve into the study of Hindu mythology would not only find it complex and confusing, but also an extremely intriguing amalgam of colorful characters and their stories. Mahabharat, the longest poem ever written, is one such epic. It is replete with tales of glorious courage as well as treacherous deceit.. And perhaps the character whose story is most compelling of all is Karna, a great warrior much extolled for his exploits, but who unfortunately never got his due. Princess Kunti of the kingdom of Kunti was asked to rest in her room, as apparently she had had a very long day. She obeyed, for she wouldn’t dare argue with her father, King Kunti-Bhoj. Absently lowering herself onto the bed, she recalled what had happened earlier that day. For the past several weeks, Kunti had been tirelessly attending to the Sage Durvasa’s needs and unreasonable demands. Her father had entrusted her with this task, as the powerful Sage, known for his quick temper, could not afford to be angered. Pleased with her dedication, he awarded her the Atharvaveda Mantra, which enabled her to beget a son blessed with the qualities of any God she invoked. I wonder if there is any truth in the spell or if it’s just a whole lot of mumbo-jumbo, the young princess thought, staring unseeingly at a pair of peacocks dancing deliriously in the rain just outside her window. Later, when the showers had stopped and the sun had sunk low in the skies, Kunti snuck out of the palace. Fortunately no one saw her as all were engaged in the preparations of a grand farewell feast for the great sage. Taking cover of the growing shadows, she ran into the dense thicket of Ashoka trees that lay to the west of the palace. An accomplished horsewoman and huntress in her own right, she felt no fear navigating her passage in the semi darkness. She emerged at the bottom of a tall cliff, on the other side of which was a river whose waters sparkled like gold in the rays of the setting sun. Panting, Kunti wiped away the beads of sweat from her brow, feeling a strange sense of foreboding hang over her. After a slight hesitation, she recited the mantra, calling for Surya, the Sun God. Moments after she uttered the last word of the prayer, blinding rays of light hit her, making Kunti shield her eyes and stagger a few steps backward. And indeed, it was Surya, with a small, wailing child cradled in his arms. She smiled–so the sage had meant what he had said. That was all she wanted to know. “Unfortunately, Kunti, I cannot. I am bound by the mantra, so I must give you this child.” Surya smiled, holding forth the baby. “I am not prepared for–” Before she could complete her protest, the Sun God was gone, and the child was in her arms. With the beautiful baby boy pressed to her chest, Kunti slowly walked down to the river. She weaved a basket out of reeds while watching the child, tears brimming in her eyes. The princess noticed with awe that he was covered with magnificent golden armor, and dangling from his ears were beautiful, diamond-studded earrings. Planting a light kiss on his forehead, Kunti set the baby in the basket, then proceeded to place him in the water with great reluctance. “Goodbye, my son. I love you so much, but I cannot take you with me.” She murmured, choking back tears as she watched the basket float down the river. I hope that you will forgive me. PS: Please share your thoughts. 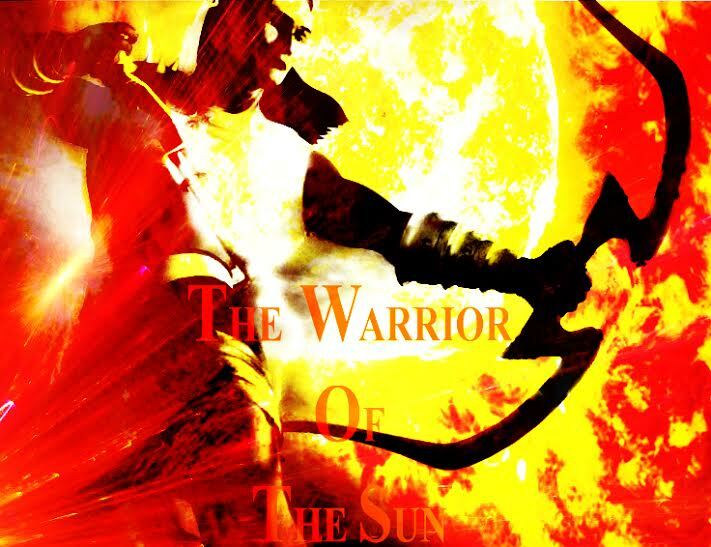 This entry was posted in India Unveiled, The Warrior of the Sun and tagged Atharvaveda Mantra, Durvasa, fiction, Historical fiction, Indian Mythology, Karna, Kunti, Mahabharatha, Surya, The Warrior of The Sun on August 21, 2014 by Packerland.